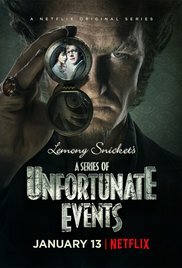 A lot of my friends and I have been talking about Netflix's new A Series of Unfortunate Events and how it's better than the movie that came out in 2004. I agree, it's great. And I love Niel Patrick Harris, he tends to improve almost everything he's in. And the books by Lemony Snicket (I digress from putting his real name in print, I loved his writing so much and respect him) were fun and imaginative and even I, as an adult whilst reading them, loved them! But therein lies the problem: the medium through which the novels were taken to film. In 2004, they tried to tell the story of a few of the novels through a single film. I can tell that they were hoping for a franchise, but it never appeared. I think the reason is because there was a lot of material in the books that was important to the overall story, and they tried to convey it in an hour and forty-eight minutes. They had to take liberties and condense and cut, and even though I adored many of the actors in the 2004 film, so much was lost. On the other hand, the Harry Potter novels were done well by film. So were the Hunger Games books when they were turned into films. Was that because JK Rowling did a better job at writing something that could translate to film so easily or that Lemony Snicket didn't? Not hardly! I don't know all the politics that go on in a movie studio, either, but there's a reason why the Marvel Comic movies are doing so well as opposed to DC when Marvel finally became it's own studios while DC has not. 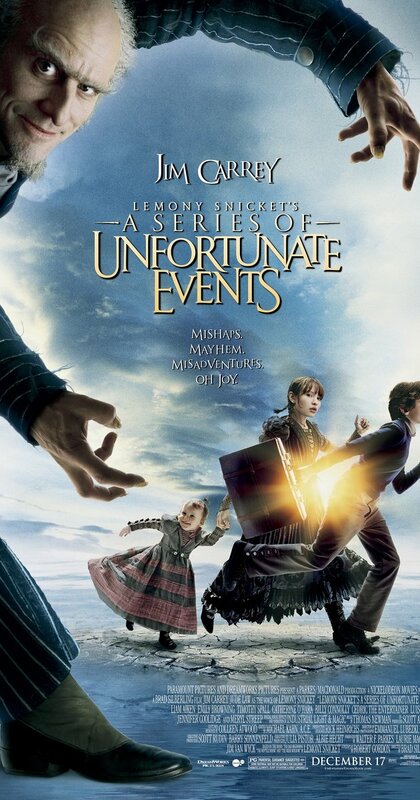 The Series of Unfortunate Events film had several of the books in one movie, though, which I don't think did it any favors when it came to the storyline translating to screen. Visually, I loved the 2004 film, though. And the actors understood and did wonderfully with the material they were given. It's not Jim Carrey's fault the film wasn't as successful as the Netflix series. The series on Netflix is just as stunning visually as the film. A TV show lets the writers really explore a book chapter-by-chapter. They get to really digest the material while writing the screenplay. I think that a series is a better medium for the books. Luckily, they did a trial-and-error and got a second chance when Netflix took it on. I love seeing books that didn't do as well as film adaptations get a second chance! I was reviewed by a book vlog, y'all!